Don't see the equipment you need? Click here to view our other categories. 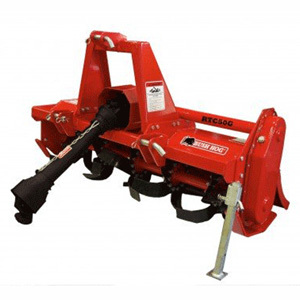 • Cutting Height 1 1/2" to 6 1/2"
Cutting Height 2" to 12"
Add another mower or cutter. • Max Cultivation Width 60"
• Disc Blade Size Notched 16" or 18"
• Max Cultivation Width 78"
• Disc Blade Size Notched 18" or 20"
D 39 3/4", H 40 3/8"
• L 24.6", W 51.6", H 32.3"
• L 22.1", W 57.3", H 31.9"
Add another disc harrow, plow or tiller. Add another spreader or digger. • Moldboard W 48", H 12", T 1/4"
• Overall D 27", H 33", W 49"
• Width 60", 72", 84"
• Tine Spacing 1", Tine Size 1" x 5/16"
• Auger Diameter 6", 9", of 12"
• Auger Diameter 6", 9", 12", 18", or 24"
• Auger Diameter 6", 9", 12", 18" or 24"
Add another blade, grader or rake. • Fork Size 4" x 1 1/4"
• Fork Size 3" x 1"
• W 60", D 33", H 25"
• H (grapple open) 41"
• Tooth Opening (max) 36"
• W 66", D 33", H 25"
• W 72", D 33", H 25"
• Tine Length 49 1/4"
Add another pallet fork, bale spear or grapple bucket. Tell us how you would like to pay for your package. on your preferred payment method. Now that you have picked your custom package, just complete this contact info and press the "Request-A-Quote" button. We will send you a copy of your package and we will be in touch shortly with your package price. Thank you for choosing Kingline Equipment!